Traditional Face to face Befriending allows for the development of an ordinary, warm, reliable relationship with another person who is lonely and may have other life problems. Face to face Befriending usually takes the form of a weekly visit from the Befriender to the Befriendees home, or enjoying coffee, lunch or other activities out-with the Befriendees home. 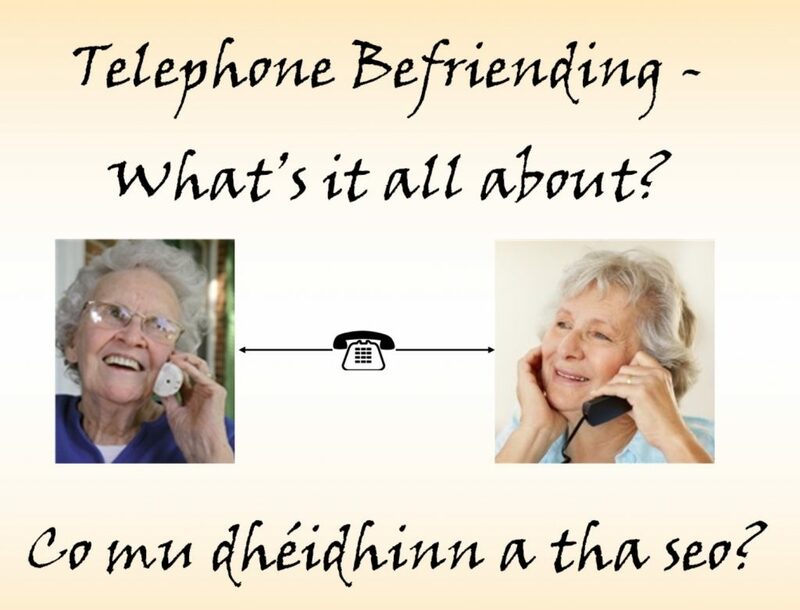 Telephone Befriending is something we introduced for people who may just prefer to chat on the phone, someone who may be waiting for a while before they’re matched with a suitable Befriender, or it can also be used as an add-on for a Befriendee who’s feeling particularly vulnerable and may benefit from the extra contact. This part of the service allows us to reach out to more people without the transport restrictions we face due to rural living. Group Befriending is a relatively new concept which allows for people to meet together in activity groups with the outcome focused on positive social interaction with more than just one person. This is such a valuable part of the service for Befriendees as many of them are able to attend the groups with their Befriender who is there to support them. It allows people to participate in activities in a very informal manner to achieving our aim in reducing feelings of loneliness and isolation. Healthier Lives Befriending is where the service really takes on a challenge in terms of our ability to think outside the box and come up with solutions for people who may find themselves in difficult circumstances. 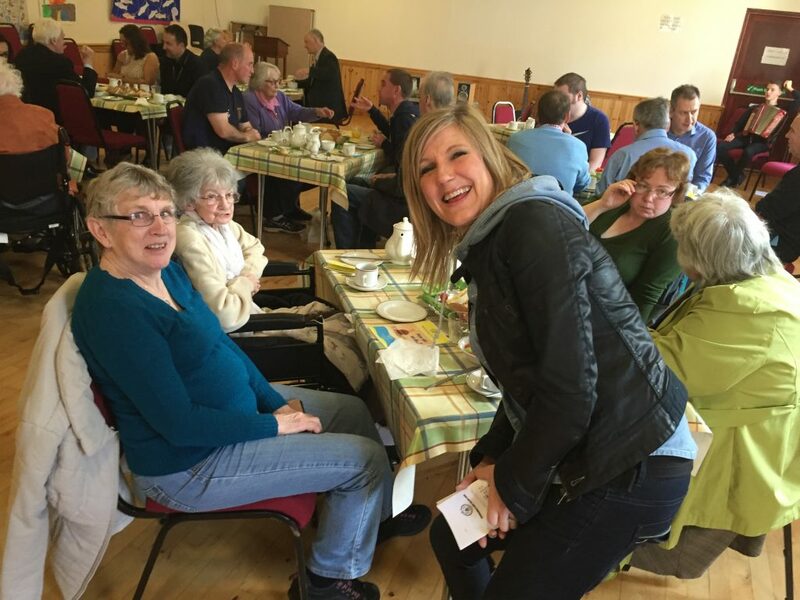 Under the Healthier Lives umbrella, we have seen significant uptake in our needs-led approach to reducing loneliness and social isolation and in the opportunities for partnership working by doing so. Gym Buddies – working with volunteer Befrienders and local fitness groups i.e. sports centre, running club, bowling club, to find ways to involve Befriendees who may have a desire to get get fit or lose weight with exercise, but who may not have the confidence to join the gym or attend a club on their own. 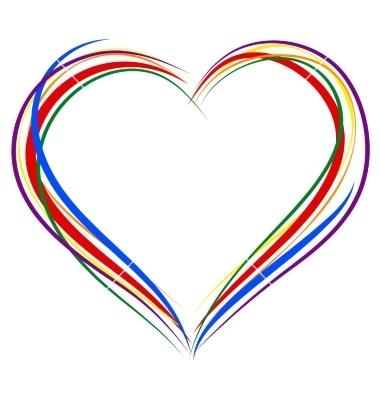 Criminal Justice – working directly with social workers to help identify and train suitable Befrienders who are there to support ex offenders reintegrate back into society and reduce feelings of isolation which may result as a consequence of the crime committed and time spent away from society. Refugee Resettlement – working together with many partner agencies to help prepare and allow for resettlement of refugees who have taken up residency locally. This involves training Befrienders in key Befriending skills with specific emphasis on helping people with little or no English. Grub Club/Picnic Partners – we co-ordinate volunteer Befrienders with particular skills in cooking who are able offer one to one cookery lessons to people who live on their own and have lost the desire to eat well. Often the combination of someone coming to visit combined with a good healthy meal can provide the Befriendee with reduced feelings of isolation and a better quality of life. "If she wasn’t to come, I don’t know what I’d do." "I feel like a new man, I’m ready to take on the world." "She is just perfect, I couldn’t have picked someone better myself." "She is so nice and pleasant and interesting and when she comes the time is so short." "I can’t believe that she’s giving up so much of her time for me – she’s even helped talk me through how to get going on Skype and how to share family photos." "She’s fantastic, I feel like I’ve known her all my life." Traditional face to face Befriending is the core of the service and introducing the telephone befriending element gives us greater flexibility in relation to the speed we can deliver the service. Participants may be involved in any or all of the four elements available. By introducing group Befriending and healthier lives Befriending to the service, we are able to allow continuity of support to our participants, and encourage progression and self-empowerment. * Names of Befriendees have been changed to protect identity.